"Bocelli" redirects here. For his second album, see Bocelli (album). Andrea Bocelli, OMRI, OMDSM (Italian pronunciation: [anˈdrɛːa boˈtʃɛlli] ;   born 22 September 1958) is an Italian singer, songwriter, and record producer. Celine Dion has said that "if God would have a singing voice, he must sound a lot like Andrea Bocelli,"   and David Foster, a record producer, often describes Bocelli's voice as the most beautiful in the world. The Order of Merit of the Italian Republic was founded as the senior order of knighthood by the second President of the Italian Republic, Luigi Einaudi in 1951. The highest ranking honour of the Republic, it is awarded for "merit acquired by the nation" in the fields of literature, the arts, economy, public service, and social, philanthropic and humanitarian activities and for long and conspicuous service in civilian and military careers. The post-nominal letters for the order are OMRI. The order effectively replaced national orders such as the Civil Order of Savoy (1831), the Order of the Crown of Italy (1868), the Order of Saints Maurice and Lazarus (1572) and the Supreme Order of the Most Holy Annunciation (1362). Céline Marie Claudette DionChLD is a Canadian singer. Born into a large family from Charlemagne, Quebec, she emerged as a teen star in her homeland with a series of French-language albums during the 1980s. She first gained international recognition by winning both the 1982 Yamaha World Popular Song Festival and the 1988 Eurovision Song Contest, where she represented Switzerland. After learning to speak English, she signed on to Epic Records in the United States. In 1990, Dion released her debut English-language album, Unison, establishing herself as a viable pop artist in North America and other English-speaking areas of the world. David Walter Foster, OC, OBC, is a Canadian musician, record producer, composer, songwriter, and arranger. He has been a producer for musicians including Chaka Khan, Alice Cooper, Christina Aguilera, Andrea Bocelli, Toni Braxton, Michael Bublé, Chicago, Natalie Cole, Celine Dion, Kenny G, Josh Groban, Brandy Norwood, Whitney Houston, Jennifer Lopez, Kenny Rogers, Seal, Rod Stewart, Jake Zyrus, Donna Summer, Olivia Newton-John, Madonna, Mary J. Blige, Michael Jackson, Peter Cetera, Cheryl Lynn and Barbra Streisand. Foster has won 16 Grammy Awards from 47 nominations. He was the chairman of Verve Records from 2012 to 2016. "The Prayer" is a popular song written by David Foster, Carole Bayer Sager, Alberto Testa and Tony Renis. The song was originally recorded in two solo versions for the 1998 film Quest for Camelot, in English by Canadian singer Celine Dion and in Italian by Italian tenor Andrea Bocelli. 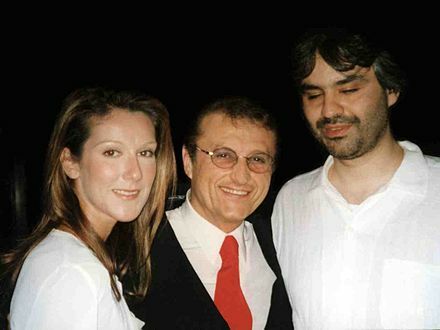 A duet between Dion and Bocelli later appeared on their respective studio albums, These Are Special Times (1998) and Sogno (1999), and was released as an airplay single on 1 March 1999. The song won the Golden Globe Award for Best Original Song and was nominated for an Academy Award for Best Original Song in 1999 and a Grammy Award for Best Pop Collaboration with Vocals in 2000. Quest for Camelot is a 1998 American animated musical fantasy film produced by Warner Bros. Feature Animation and directed by Frederik Du Chau and based on the novel The King's Damosel by Vera Chapman. The film stars Jessalyn Gilsig, Cary Elwes, Frank Welker, Eric Idle, and Don Rickles. Andrea Corr and Bryan White also do singing vocals for two of the main characters. Bocelli was made a Grand Officer of the Order of Merit of the Italian Republic in 2006 and was honored with a star on the Hollywood Walk of Fame on 2 March 2010 for his contribution to Live Theater. La Sterza is a village in Tuscany, central Italy, administratively a frazione of the comuni of Lajatico and Terricciola, province of Pisa. At the time of the 2001 census its population was 91. "Frazione" is the Italian name given in administrative law to a type of territorial subdivision of a comune; for other administrative divisions, see municipio, circoscrizione, quartiere. It is cognate to the English word fraction, but in practice is roughly equivalent to "parishes" or "wards" in other countries. Lajatico is a comune (municipality) in the Province of Pisa in the Italian region Tuscany, located about 50 kilometres (31 mi) southwest of Florence and about 40 kilometres (25 mi) southeast of Pisa. Lajatico sits in mainly hilly terrain at variable elevations from 100 to 650 metres above sea level) and dominates the end of the Valdera valley and the opening of the valley known as Val di Cecina. In 1992, Italian rock star Zucchero held auditions for tenors to make a demo tape of his song "Miserere", to send to Italian tenor Luciano Pavarotti. After hearing Bocelli on tape, Pavarotti urged Zucchero to use Bocelli instead of him. Zucchero eventually persuaded Pavarotti to record the song with Bocelli, and it became a hit throughout Europe. In Zucchero's European concert tour in 1993, Bocelli accompanied him to sing the duet, and he was also given solo sets in the concerts, singing "Nessun dorma" from Giacomo Puccini's opera Turandot . Bocelli signed with the Sugar Music label in Milan after the Caterina Caselli heard Bocelli sing "Miserere" and "Nessun Dorma" at a birthday party for Zucchero. From June to August, he toured North and South America. In September, he received his second Echo Klassik award, this time for Best Selling Classical Album with Aria: The Opera Album. On Thanksgiving Eve, Bocelli was a guest on Céline Dion's television special These Are Special Times in which he joined Dion to sing "The Prayer" and he also sang "Ave Maria" solo. The duet was included on Dion's album These Are Special Times (1998) and was re-issued with the DVD of the TV special in 2007. The song also appeared on the Quest for Camelot soundtrack in 1998 and on Bocelli's album, Sogno , the following year. He also performed at Rodeo Drive in Hollywood and gave further concerts in Detroit, Cleveland and Chicago, and made an appearance on Jay Leno's first installment of The Tonight Show . Then Mayor of New York City Rudy Giuliani gave him the Crystal Apple award. His seventh album Sacred Arias , which contains exclusively sacred music, was released worldwide on 8 November, and two weeks later reached number one on the US Classic Billboard charts – making Bocelli the first vocalist to hold all top three places on the chart, with Aria, the opera album in second place, and Viaggio Italiano in third place. The album also included the hymn of the Holy Year 2000 which was chosen as the official version by the Vatican in October. To promote Sacred Arias, Bocelli recorded his second PBS concert at the Roman church of Santa Maria sopra Minerva, in Rome, in 1999, singing most of the songs from the album. The special was nominated for an Emmy Award for Outstanding Classical Music-Dance Program during the 52nd Primetime Emmy Awards. At the 42nd Grammy Awards, Bocelli was nominated twice. "The Prayer" was nominated for Best Pop Collaboration with Vocals and for Best Male Pop Vocal Performance. Bocelli performed it with Dion at the ceremony. His "World Tour 2000" started on 31 March. In May, his Sacred Arias album was voted album of the year by listeners of the Classic FM radio station in the UK. His world tour continued from 12 May to 14 May with four concerts in Japan and South Korea. At the end of the UEFA European Football Championship, he performed with Valery Gergiev and Renée Fleming at a concert on the River Maas in Rotterdam. On 6 July, he performed at the Statue of Liberty in New York City for his third PBS special American Dream: Andrea Bocelli's Statue of Liberty Concert. The concert was a dedication to his father, who died in the beginning of 2000. He was accompanied by the New Jersey Symphony Orchestra under the direction of Maestro Steven Mercurio with special guest Soprano Ana Maria Martinez and a surprise appearance by Sarah Brightman to sing with Bocelli on "Time to Say Goodbye." For the final encore, he dedicated "Sogno" to his late Father. On 17 August, he performed in Giuseppe Verdi's Messa da Requiem at the Verona Arena in Rome. In June, he performed at the Deutsche Opera in Berlin. On 2 July, he performed at the Paris concert as part of the Live 8 event. Also during the second part of the year, he performed in Croatia, Serbia, Italy, the US, Dubai, Switzerland and finally in Scandinavia. On 28 August, he performed at the Faenol Festival held in Vaynol, Wales and organised by Welsh bass-baritone Bryn Terfel. In December, his first contemporary music concert took place at a Lake Las Vegas village resort in Nevada, US, which was recorded for PBS and released as the Under the Desert Sky DVD. He also took part in the Royal Christmas Show, which took place in several cities in the US in December. The album Werther was released in December. 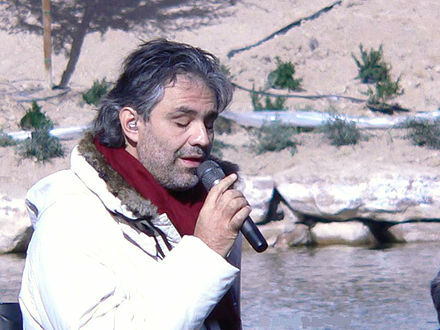 Bocelli rehearsing for his Under the Desert Sky concert in Lake Las Vegas, 2006. In April 2006, he featured as a guest coach on American Idol helping the finalists sing the week's themed songs, "Greatest Love Songs." He also performed on that week's results show. American Idol runner-up Katharine McPhee performed at three of Bocelli's concerts in California from 9 to 11 June singing duets of Somos Novios and The Prayer with Bocelli. They also performed on J. C. Penney Jam: The Concert for America's Kids  and recorded duet versions of Somos Novios for the resulting album, and also Can't Help Falling in Love on the CD of the Under the Desert Sky DVD. In June, he sang the Italian duet version of "Because We Believe", "Ama, credi e vai", with Gianna Nannini at the "großen Fan Party" at the opening of the 2006 FIFA World Cup, in Berlin in front of billions of worldwide television viewers. Bocelli and Sarah Brightman's duet version of "Con te partirò" was used in the 2007 film Blades of Glory , as an ice skating song. K-1 mixed martial arts fighter Yoshihiro Akiyama started using "Con te partirò" as his ring entrance music. On 8 September, Bocelli sang an arrangement of Mozart's Ave verum corpus at the funeral of Luciano Pavarotti in Modena, Italy. On 21 October 2007, he sang "Con te partirò" on the UK television series Strictly Come Dancing results show, and on 30 October, he sang "The Prayer" during an ITV Special An Audience with Céline Dion. The show was broadcast on 23 December. Alongside fellow Italian singer Laura Pausini, he sang Vive Ya during the 2007 Latin Grammy Awards. The song, originally released in 1997 as a duet in Italian between Bocelli and Italian singer-songwriter Trovatto on Bocelli's Romanza , was also released in English on his 2007 album, The Best of Andrea Bocelli: Vivere , as Dare to Live. The album, Vivere , sold over 3 million copies. On 27 May 2009, Bocelli sang "Il Gladiatore", from the Gladiator soundtrack, followed by the UEFA Champions League Anthem, which is based on "Zadok the Priest" by G.F. Handel, during the opening ceremony of the 2009 UEFA Champions League Final, in the Stadio Olimpico, in Rome. On 3 November, My Christmas , his first Holiday album, produced by David Foster, was released and went on to become the best-selling Holiday album of the year. The Andrea Bocelli & David Foster Christmas Special , the PBS special of the album, first aired on Thanksgiving night in the United States, and continued to be broadcast in the United States and Canada throughout the month of December. In late November, the program was broadcast in Mexico and in the UK; it later aired, 15 and 25 December, on Italia 1, in Italy, 19 December, on TVE2 and TROS, in Spain and the Netherlands, and Christmas Eve, on vtm and RTL-TVI, in Belgium and Luxembourg. Bocelli performing at the Premio Faraglioni 2009. On 3 November, during the World Premiere of Disney's A Christmas Carol , in Leicester Square, London, following the switching on of the annual Oxford Street and Regent Street Christmas lights, Bocelli led the St Paul's Cathedral Choir, and more than 14,000 people across the capital, as they broke the Official Guinness World Record for the biggest ever Christmas carol sing-along, singing "Silent Night". He completed his performance in Leicester Square with, "God Bless Us Everyone", the closing song of the movie, which he provided the vocals for in English, Italian and Spanish. He returned to the United Kingdom, 16 December, for an appearance on The One Show , broadcast live by BBC One, and on The Alan Titchmarsh Show which aired 18 December, on ITV1. On 21 November, a segment of Leute Heute, a German tabloid-program on ZDF, was about My Christmas and Bocelli's meeting in Rome with Pope Benedict XVI and 250 other artists, an event which was broadcast live earlier that day in Italy, by Rai Uno. Bocelli was also joined by the Piccolo Coro dell'Antoniano, in his home in Forte dei Marmi, where they sang "Caro Gesù Bambino", a song from My Christmas which was originally recorded by the choir in 1960. Rai Uno also broadcast the performance later that day, during the Zecchino d'Oro Festival. The following day, Bocelli was among Fabio Fazio's guests, on his popular Italian talk-show, Che tempo che fa, broadcast on Rai Tre. During the program Bocelli talked about his album and performed "The Lord's Prayer", "White Christmas", and "Silent Night". It was also announced that Bocelli would return to the show on 20 December and give a live concert of My Christmas. Bocelli also took part in the annual 2009 José Carreras Gala, on 17 December, where he sang Adeste Fideles, before singing "White Christmas" with José Carreras for the very first time; this was broadcast live, by Das Erste, in Germany. He then returning to Italy, for a concert in the Upper Basilica of San Francesco d'Assisi, on 19 December, which was broadcast directly after the Urbi et Orbi blessing of Pope Benedict XVI, 25 December, on Rai Uno. In the United States, Bocelli made a number of high-profile TV appearances. He first performed "White Christmas" at the 83rd annual Macy's Thanksgiving Day Parade, broadcast live on NBC, 26 November. He performed the song again on 30 November during The Today Show also live. His appearance on The Oprah Winfrey Show during her Holiday Music Extravaganza, where he sang "What Child Is This", with Mary J. Blige, and later closed the show with Adeste Fideles, was also aired the same day, and was later rebroadcast on 23 December. Bocelli also sang "Adeste Fideles" and was interviewed by Barbara Walters and Joy Behar on The View , which aired 2 December, on ABC. On 8 December, he performed "Jingle Bells" with The Muppets on The Jay Leno Show . He also performed a number of songs from the album, including "The Christmas Song" with Natalie Cole, during a dinner at David Foster's mansion in Malibu, which was featured on The Dr. Phil Show , on 10 December. Bocelli also performed "White Christmas" and "Silent Night", on the Larry King Live and Fox & Friends holiday-specials, broadcast 23 December, on CNN, and 19, 24 and 25 December, on Fox News. In Brasil, following the success of the South American leg of the Incanto tour, where over 100,000 people attended his free concert at the São Paulo's "Parque Indipendencia", earlier in the year,  it was announced that Bocelli would hold another Open-Air, entrance free, concert in Florianópolis, on 28 December, where a crowd of about a million people was expected to attend. However, due to financial and political reasons, the concert was later canceled on short notice, along with all the other events scheduled for Christmas in the city. On 30 April, Bocelli sang "Nessun dorma" during the opening ceremony of the Expo 2010, in Shanghai, China. The following day, on 1 May, he held a concert, titled Charming China, at Shanghai Stadium. The concert was later broadcast by Shanghai TV, and by CCTV channels throughout mainland China. 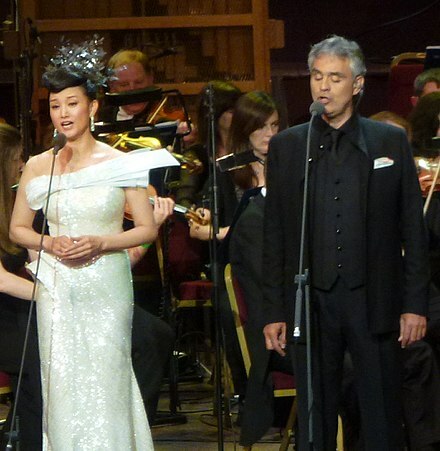 Andrea Bocelli and Song Zuying performing Time to Say Goodbye at the East Meets West concert. On 25 July, Bocelli held the fifth and final edition of the Teatro del Silenzio, in his hometown of Lajatico, Tuscany. Bocelli's guests included Spanish Catalan tenor José Carreras, and Italian rock singer Zucchero. Sculptures by Swiss artist Kurt Laurenz Metzler, who attended the concert, were exhibited during this year's edition. Bocelli was also awarded the Pisano Doc, during the dress rehearsal for the concert, on 24 July, and received the 2010 Premio Lunezia nel mondo, during a private ceremony held on 21 July, for "the musical-literary quality of his songs." In September 2010, Bocelli held a concert at the Odeon of Herodes Atticus, in Athens, Greece. All proceeds were donated to help cure cancer. Bocelli also gave concerts in Cairo, Egypt, in front of the pyramids and the Great Sphinx of Giza, as well as a fundraising concert inside the Duomo di Milano to benefit victims of the 2010 Haiti earthquake. In late March, early April, as part of the 2011 Latin Leg of his Incanto Tour, Bocelli gave concerts in Buenos Aires, Bogotá, and Panama City. Bocelli gave a free concert on 15 September, on the Great Lawn of Central Park in New York City. He was accompanied by the New York Philharmonic, conducted by its music director Alan Gilbert, and the Westminster Symphonic Choir. The concert was broadcast throughout the United States and Canada, by PBS, and in Italy, by Rai 1. Concerto: One Night in Central Park , the live album and the DVD were released 15 November. 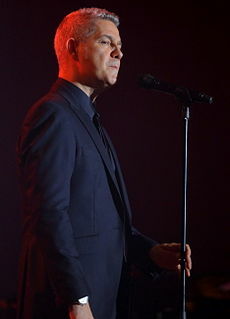 On 17 November, he performed at the Children in Need Rocks Manchester concert, gaining critical acclaim for receiving a standing ovation from a crowd of pop and indie music fans. A new studio album entitled Passione , featuring duets with Jennifer Lopez and Nelly Furtado, was released on 29 January 2013. On 7 February, Bocelli was an honorary guest at the 61st Annual National Prayer Breakfast, held at the Washington Hilton, where he performed "Ombra mai fu" and Franz Schubert's "Ave Maria" in the presence of President Barack Obama, First Lady Michelle Obama, Vice Present Joe Biden, as well as other political leaders. On 20 February, he performed at the concert in Moscow Kremlin dedicated to 20th anniversary of Gazprom. 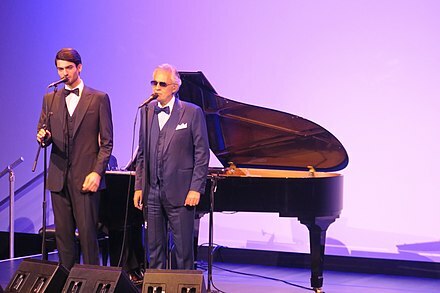 Bocelli and his son Matteo performing in New York at the presentation of the album Sì in 2018. 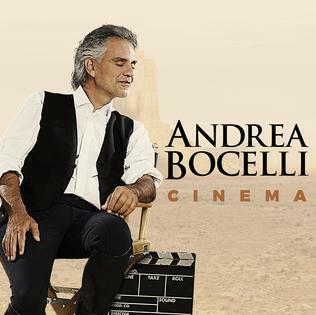 Bocelli released his fifteenth studio album Cinema on 23 October 2015. It contains renditions of classic film soundtracks and scores, featuring duets with Ariana Grande, Nicole Scherzinger and his wife Veronica Berti. The album received a nomination for Best Traditional Pop Vocal Album at the 59th Annual Grammy Awards; the Spanish-language version was nominated for Album of the Year at the 17th Annual Latin Grammy Awards. World Music Awards for "World's Best-selling Classical Artist" in 2010. "America Award" of the Italy–USA Foundation in 2012. Bocelli with then fiancée Veronica Berti in March 2010. In 2006, Bocelli influenced the municipality of his hometown Lajatico to build an outdoor theatre, the "Teatro del Silenzio". He serves as its honorary president and performs for one night only, every July; the rest of the year, the theatre remains silent. Bocelli is the author, and co-author, of numerous works available in Italian, English, and other languages. Some books are available in Braille and others in large print. The list below is limited to his English language books which are widely available. Bocelli, A. (2002) . The music of silence: a memoir by Andrea Bocelli. New York: HarperCollins. OCLC 54699002. Braille edition, ISBN not available. Bocelli, A. (2002). The music of silence: a memoir. Waterville, ME: Thorndike Press. ISBN 9780786239009. Large print edition. Bocelli, A. (2007). Andrea Bocelli – Amore. Milwaukee, WI: Hal Leonard Corp. ISBN 9788850709922. Bocelli, A. (2001). The music of silence: a memoir. New York: HarperEntertainment. ISBN 9780066212869. Bocelli, A. (2011). The Music of Silence; New Edition. Milwaukee, WI: Hal Leonard Corp. ISBN 9781574671971. Sarah Brightman is an English classical crossover soprano, singer, songwriter, actress, dancer and musician. Heather Headley is a Trinidadian-American singer, songwriter, record producer, and actress. She won the Tony Award, Best Actress in a Musical for Aida in 2000. She has also won a Grammy Award, Best Contemporary R&B Gospel Album in 2012 and a Drama Desk Award. In 2018, she started her role as Gwen Garrett on the NBC medical drama television series Chicago Med. 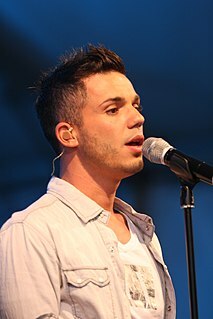 Anthony Cosmo Callea is an Australian singer-songwriter and stage actor who rose to prominence as the runner-up in the 2004 season of Australian Idol. Callea's debut single, a cover of Celine Dion and Andrea Bocelli's song "The Prayer" is the fastest-selling single by an Australian artist, held the No.1 spot on the ARIA Singles Chart for five weeks, a record for the debut single of an Australian Idol contestant, and was the second-highest selling Australian single of the last decade. Alessandro Safina is an Italian operatic pop tenor. Filippa Giordano is an Italian crossover singer. "Con te partirò" is an Italian song written by Francesco Sartori (music) and Lucio Quarantotto (lyrics). It was first performed by Andrea Bocelli at the 1995 Sanremo Music Festival and recorded on his album of the same year, Bocelli. The single was first released as an A-side single with "Vivere" in 1995, topping the charts, first in France, where it became one of the best-selling singles of all-time, and then in Belgium, breaking the all-time record sales there. Jake Zyrus is a Filipino singer and television personality. Prior to his gender transition to male, he performed under the mononym Charice. 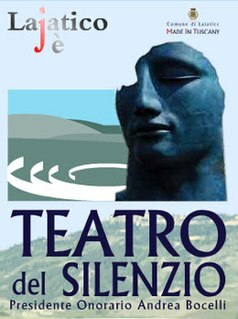 The Teatro del Silenzio is an Italian open air amphitheatre which is located in Lajatico, Tuscany – the hometown of Andrea Bocelli. In 2006, Bocelli influenced the municipality of his hometown Lajatico to build the outdoor theatre, and contributed greatly towards its construction. 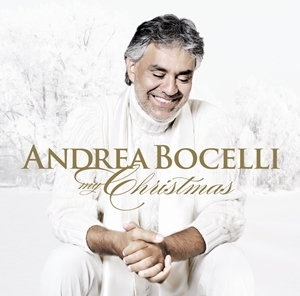 My Christmas is the thirteenth studio album and first Christmas album released by Italian tenor Andrea Bocelli. Italian pop tenor and crossover artist Andrea Bocelli has released sixteen pop, classical, and Latin studio albums, including one holiday album; three compilation albums; twenty two singles; four collaborative albums; eleven complete opera recordings; three live albums, and nine live video releases. "Vivere" is a song written by Italian singer-songwriter Gerardina Trovato with Angelo Anastasio and Celso Valli. It was first recorded as a duet between Trovato and Italian pop tenor Andrea Bocelli and included in Trovato's 1994 album Non è un film as well as on Bocelli's debut album Il Mare Calmo della Sera. It was also released as a B-side single with Bocelli's "Con te partirò" in 1996 and it was later featured on the compilation album Romanza, released by Bocelli in 1997. 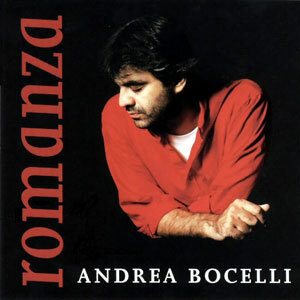 Romanza is the first compilation album by Italian singer Andrea Bocelli, released internationally in 1997. 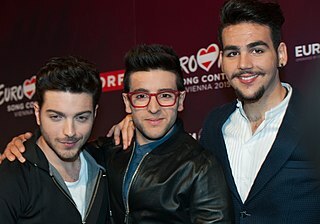 Il Volo is an Italian operatic pop trio, consisting of singers: the baritone Gianluca Ginoble, and two tenors, Piero Barone and Ignazio Boschetto. They describe their music as "popera". Having won the Sanremo Music Festival 2015, they represented Italy in the Eurovision Song Contest 2015 in Vienna, Austria. They reached third place, but managed to secure a solid first-place victory in the televoting. Passione is the fourteenth studio album by Italian tenor Andrea Bocelli, released on 29 January 2013. The album is a collection of Mediterranean love songs featuring duets with Jennifer Lopez, Nelly Furtado and a virtual duet with the late French cabaret singer Édith Piaf. 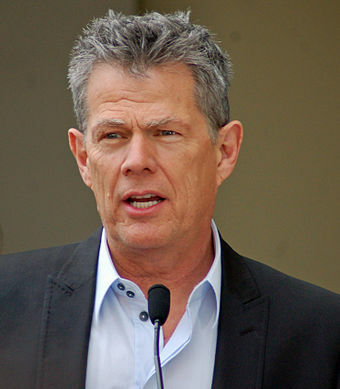 It was produced by multiple Grammy-winning producer and Verve Music Group Chairman David Foster who co-produced Bocelli's 2006 Latin album Amore. A Spanish version of the album titled Pasión is set to be released through Universal Latino label. Carly Paoli is a BRIT nominated classically trained singer/lyricist born in Mansfield, Nottinghamshire, England. On 30 June 2017 Paoli released her debut album, ‘Singing My Dreams’. ↑ Luciano Canepari. "Andrea". DiPI Online (in Italian). Retrieved 26 October 2018. ↑ Luciano Canepari. "Bocelli". DiPI Online (in Italian). Retrieved 26 October 2018. 1 2 3 4 5 6 7 "Andrea Bocelli". Decca Records . Universal Music. Archived from the original on 30 April 2011. Retrieved 10 December 2013. 1 2 3 Interview: Andrea Bocelli, opera singer, The Scotsman, 27 October 2009 article. 1 2 "Andrea Bocelli to Receive Master's Degree". Billboard . AP. 18 October 2013. Retrieved 10 December 2013. ↑ "Andrea Bocelli to receive Classic Brit honour". BBC News . 6 September 2012. Retrieved 10 December 2013. ↑ Bearn, Emily (26 February 2003). "Operation Bocelli: the making of a superstar". The Age . Retrieved 10 December 2013. 1 2 Malitz, David (12 December 2010). "'Christmas in Washington' sticks to the classics". The Washington Post. Retrieved 27 July 2013. 1 2 3 "Andrea Bocelli: Singer". People . 49 (18). 11 May 1998. Retrieved 10 December 2013. 1 2 3 4 Day, Carol (10 November 1997). "Blind Ambition". People. Retrieved 22 July 2017. Bocelli's parents, Alessandro, 68, and Edi, 59, sold farm equipment and produced wine in tiny Lajatico, in Tuscany about 20 miles from Pisa. 1 2 Bryony Gordon (14 November 2011). "Andrea Bocelli: The truth about my friend – the strong-willed, kind and intelligent Silvio Berlusconi". The Daily Telegraph . Retrieved 9 December 2013. ↑ Sodomka, Dennis (8 October 2013). "Wine Time: Bocelli Prosecco NV, Italy". The Augusta Chronicle . Retrieved 14 December 2013. ↑ "Interview: Andrea Bocelli, opera singer". The Scotsman . 23 October 2009. Retrieved 14 December 2013. 1 2 3 "Andrea Bocelli – Singing to the Top". Ability . October–November 2013. Retrieved 25 October 2013. ↑ Hooper, John (10 June 2010). "Tenor's story acclaimed by anti-abortion campaigners". The Guardian . Retrieved 28 July 2013. ↑ Pisa, Nick (31 October 2010). "Doctors tried to cure Andrea Bocelli's blindness with leeches". The Daily Telegraph. Retrieved 9 December 2013. 1 2 3 "Chronicle 1958–1991". bocelli.de. Retrieved 20 January 2008. ↑ Rogers, Paul (5 September 2013). "Andrea Bocelli at the MGM Grand". Los Angeles Times. Retrieved 21 December 2013. 1 2 3 4 5 6 7 "Chronicle 1991–1994". bocelli.de. Retrieved 20 January 2008. 1 2 3 Ardoin, John (2007). "Bocelli and Chung". PBS . Retrieved 20 January 2008. ↑ "Bocelli, l' inno per il Papa nasce a Lourdes". Corriere Della Sera (in Italian). 21 September 1999. Retrieved 9 December 2013. 1 2 3 4 5 6 7 8 9 10 "Chronicle 1995–1997". bocelli.de. Retrieved 20 January 2008. ↑ "Andrea Bocelli Online Biography". Bocellionline.com. Archived from the original on 27 August 2013. Retrieved 6 June 2012. ↑ Liebergen, Patrick M. (July 2008). Singer's Library of Arias: 15 Vocal Masterworks from the Baroque Era Through the Twenty-First Century. Alfred Music Publishing. p. 81. ISBN 978-0-7390-5142-9 . Retrieved 29 January 2018. 1 2 "ECHO Klassik 1997 winners" (in German). ECHO. Archived from the original on 7 January 2009. Retrieved 20 January 2008. ↑ Berger, Kevin (8 December 2010). "Beyond the criticism: Deconstructing Andrea Bocelli's voice". Los Angeles Times. Retrieved 29 January 2018. 1 2 3 4 5 6 "Chronicle 1998". bocelli.de. Retrieved 20 January 2008. 1 2 "People". International Herald Tribune . 8 May 1998. Archived from the original on 3 November 2012. Retrieved 20 January 2008. 1 2 3 4 5 6 7 8 9 10 "Chronicle 1999". bocelli.de. Retrieved 20 January 2008. 1 2 3 4 5 "Chronicle 2000". bocelli.de. Retrieved 21 January 2008. ↑ "Chronicle 2001". bocelli.de. Retrieved 21 January 2008. ↑ "Salford singer wins again". BBC News. 23 May 2002. Retrieved 9 December 2013. 1 2 3 4 5 6 "Chronicle 2002". bocelli.de. Retrieved 21 January 2008. 1 2 3 4 5 "Chronicle 2003". bocelli.de. Retrieved 21 January 2008. ↑ Giacomo Puccini, Tosca. Fiorenza Cedolins, Andrea Bocelli, Carlo Guelfi and others, Florence Maggio Musicale Orchestra, Zubin Mehta, Decca 473 710-2. ↑ Andreas Dorschel, 'The World's Favourite Tenor', Lettre International no. 120 (Spring 2018), pp. 136−137, p. 136. 1 2 "Bocelli tops Classical Brits". BBC News. 23 May 2003. Retrieved 9 December 2013. ↑ "Pop Idols dominate music awards". BBC News. 27 October 2003. Retrieved 9 December 2013. ↑ "Chronicle 2004". bocelli.de. Retrieved 21 January 2008. 1 2 "Chronicle 2005". bocelli.de. Retrieved 21 January 2008. ↑ "Sesame Street Parody Descriptions". Sesame Workshop . Archived from the original on 19 January 2008. Retrieved 15 December 2013. 1 2 "Asia Tour". bocelli.de. Retrieved 21 January 2008. ↑ "John Legend and Carrie Underwood Set for All-Star Halftime Show". NBA. 2006. Archived from the original on 3 January 2008. Retrieved 20 January 2008. 1 2 3 4 5 6 "Bocelli 2006 Chronicle". bocelli.de. Retrieved 21 January 2008. 1 2 "2006 tour (1)". bocelli.de. Retrieved 21 January 2008. ↑ "FIRENZE – Bocelli e il canto di Pace nato alle Muse" (in Italian). cultura.marche.it. March 2006. Retrieved 21 January 2008. 1 2 3 "live2008". Bocelli.de. 2008. Retrieved 24 December 2008. ↑ "live concert2008/1". Bocelli.de. 2008. Retrieved 24 December 2008. 1 2 3 "live concert2008/2". Bocelli.de. 2008. Retrieved 24 December 2008. ↑ di Paolo Giordano (28 May 2008). "Bocelli: "Verdi, il mio canto patriottico nell'Italia della riconciliazione"". Ilgiornale.it. Retrieved 6 June 2012. ↑ "Andrea Bocelli in Carmen at the Teatro dell'Opera". Molto Italy. Retrieved 28 July 2013. ↑ The 2008 production of Carmen at the Teatro dell'Opera di Roma, Official Teatro dell'Opera di Roma website. ↑ "Live – Opera". www.bocelli.de. Retrieved 28 July 2013. ↑ "Carmen – Marina Domashenko, Andrea Bocelli & Bryn Terfel". Classicalsource.com. 24 October 2005. Retrieved 28 July 2013. ↑ "Bizet: Carmen – Andrea Bocelli, Bryn Terfel". Mightyape.co.nz. 8 March 2010. Retrieved 28 July 2013. ↑ "live concert2008/3". Bocelli.de. 2008. Retrieved 24 December 2008. 1 2 3 "live concert2008/4". Bocelli.de. 2008. Retrieved 24 December 2008. ↑ "Impromptu onstage appearance". tinaarena.com. Archived from the original on 3 February 2009. Retrieved 24 December 2008. ↑ "Tina Joins Andrea Bocelli for His Australian Tour". Tina Arena. Archived from the original on 3 February 2009. Retrieved 15 December 2013. ↑ "live concert2008/5". Bocelli.de. 2008. Retrieved 24 December 2008. ↑ "live concert2008/6". Bocelli.de. 2008. Retrieved 24 December 2008. ↑ "Live with Faith Hill & David Foster". www.oprah.com. Archived from the original on 6 December 2008. Retrieved 31 October 2008. ↑ "Andrea Bocelli and Plácido Domingo together for the first time in Petite Messe Solennelle". www.dc-opera.org. 2008. Archived from the original on 25 January 2009. Retrieved 24 December 2008. 1 2 3 "live concert2008/7". Bocelli.de. 2008. Retrieved 24 December 2008. ↑ "Bocelli leads Christmas carol sing-along". ClassicFm.co.uk, 3 November 2010 article. Archived from the original on 11 October 2011. Retrieved 4 April 2010. ↑ "Record breaking night for London's Christmas Carol-themed lights switch-on". Indielondon.co.uk, 3 November 2010 article. Retrieved 4 April 2010. ↑ Allen, Bob (5 January 2010). "Hot Tours: Trans-Siberian Orchestra, Il Divo, Andrea Bocelli". Billboard. Retrieved 9 December 2013. ↑ "Andrea Bocelli Performs to 100,000 in Brazil". Classic FM . Retrieved 9 December 2013. 1 2 "Andrea Bocelli in 2010". Bocelli.de. ↑ "CNN Larry King Live Transcript – Episode 30 January 2010". CNN. 30 January 2010. Retrieved 28 July 2013. 1 2 "Hollywood Walk of Fame Honors Andrea Bocelli". CNN iReport . 3 March 2010. Retrieved 9 December 2013. ↑ Olivier, Ellen (7 March 2010). "L.A. Italia Film, Fashion and Art Fest honors tenor Andrea Bocelli and producer David Foster". Los Angeles Times. Retrieved 10 December 2013. ↑ Hansen, Magne (10 March 2010). "Andrea Bocelli og kokken som sa nei til Obama på Skavlan". NRK (in Norwegian). Retrieved 12 December 2013. ↑ "Andrea Bocelli April 2010 events". Bocelli.de. Retrieved 6 June 2012. ↑ "Bocelli – with a little help from Ernman". Nordstjernan . Retrieved 12 December 2013. ↑ "Andrea Bocelli on stage with Chinese girl for Shanghai Expo". People's Daily Online. 30 April 2010. Retrieved 12 December 2013. ↑ Size matters at Shanghai Expo 2010, The Times, 30 April 2010 article. ↑ Bodeen, Christopher (30 April 2010). "Sarkozy, other leaders in Shanghai for World Expo". The Seattle Times . AP. Archived from the original on 16 December 2013. Retrieved 10 December 2013. ↑ Glamour of China Archived 5 March 2016 at the Wayback Machine , City Weekend. ↑ Daiqi, Xing (30 April 2010). "Expo showcases music, art and culture". People's Daily . Retrieved 10 December 2013. ↑ Grunebaum, Dan (15 April 2010). "Andrea Bocelli". Metropolis . Retrieved 12 December 2013. ↑ "Andrea Bocelli: Live in Japan 2010". Eplus.jp. Retrieved 6 June 2012. ↑ Hyo-won, Lee (20 April 2010). "Andrea Bocelli to Become One With Audience". The Korea Times . Retrieved 12 December 2013. 1 2 Chen, Yali (20 April 2010). "Bocellimania to sweep music fans in a week". Taiwan News . Retrieved 12 December 2013. 1 2 Chen, Yali (16 March 2010). "Bocelli to hold concerts in Hong Kong, Taipei". Taiwan Culture Portal. Archived from the original on 3 December 2013. Retrieved 12 December 2013. ↑ YTL Concert of Celebration 2010 Archived 1 April 2010 at the Wayback Machine , Official YTL Concerts 2010 site. ↑ "12,000 enjoy Andrea Bocelli treat". YTL Community. 9 May 2010. Retrieved 12 December 2013. ↑ ria tan (15 May 2010). "Singapore Botanic Gardens: Orchid named after Andrea Bocelli". Wildsingaporenews.blogspot.com. Retrieved 6 June 2012. ↑ Sheridan, Emily (19 May 2010). "Jennifer Lopez shows her wild side in two animal-print dresses at the World Music Awards". Mail Online. Retrieved 12 December 2013. ↑ "World Music Awards Official Site". Worldmusicawards.com. Retrieved 6 June 2012. ↑ "Andrea Bocelli books gig in Kazakhstan". United Press International . 15 June 2010. Retrieved 12 December 2013. ↑ Orange, Richard (5 July 2010). "Giant indoor park opened for Kazakh president's birthday". The Daily Telegraph. Retrieved 12 December 2013. ↑ "Bocelli, Bryan Adams To Headline 'Grand Finale' Concert at World Cup". Billboard. AP. 29 April 2010. Retrieved 12 December 2013. ↑ "Bryan Adams, Bocelli to sing at World Cup finale". The Vancouver Sun . 29 April 2010. Archived from the original on 2 May 2010. ↑ The anniversary of the Sveti Stefan Hotel marked by a concert by Andrea Bocelli, 20 July 2010 article. 1 2 Rome in the heart of the future: Invitation by Vice-President of the European Parliament, Roberta Angelilli MEP, EPP Group, 13 July 2010 article. ↑ Lunchtime with Andrea Bocelli, 14 July 2010 article. ↑ Bocelli canterà a Bruxelles Archived 28 September 2012 at the Wayback Machine , Il Tempo, 12 July 2010 article. ↑ Sweeting, Adam (15 November 2010). "Andrea Bocelli, O2 Arena, review". The Daily Telegraph. Retrieved 12 December 2013. ↑ Andrea Bocelli concert review Archived 23 March 2012 at the Wayback Machine , citylife.co.uk, 26 November 2010 article. ↑ "Andrea Bocelli live in Dublin, Ireland". Bandsintown.com. 12 November 2010. Archived from the original on 9 March 2012. Retrieved 6 June 2012. ↑ Andrea Bocelli makes history at O2, Classic FM, 16 November 2010 article. ↑ Kel. "Andrea Bocelli Brings His Christmas to the US". Clickitticket.com. Retrieved 6 June 2012. ↑ "Andrea Bocelli on TNT's Official Website". Tnt.tv. Archived from the original on 2 March 2012. Retrieved 6 June 2012. ↑ Bocelli concert at Italian Senate, Bocelli.de. ↑ "Andrea Bocelli to Make Met Recital Debut". Metoperafamily.org. Archived from the original on 15 April 2012. Retrieved 6 June 2012. ↑ "Hayley Westenra to perform at Bocelli concerts in Taipei". focustaiwan.tw. Archived from the original on 19 January 2012. Retrieved 28 January 2012. ↑ Andrea Bocelli Gives Stirring Performance for Gilded Crowd Archived 25 September 2012 at the Wayback Machine , Jakarta Globe, 16 May 2011 article. ↑ "2011 Asian Tour". Fashion.ce.cn. Archived from the original on 14 August 2011. Retrieved 6 June 2012. ↑ Bocelli shares the love with Beijing concerts, China Daily . ↑ "Andrea Bocelli at the Greek Theatre of Syracuse". Italymag.co.uk. 27 June 2011. Archived from the original on 5 August 2012. Retrieved 6 June 2012. ↑ "Fiamme di Solidarieta – Official Benefit concert website". Fiammedisolidarieta.it. Archived from the original on 25 April 2012. Retrieved 6 June 2012. ↑ Scozzese Design. "Andrea Bocelli Gifts New York City with a Once in a Lifetime Musical". Bocellicentralpark.com. Archived from the original on 2 April 2012. Retrieved 6 June 2012. ↑ Scozzese Design. 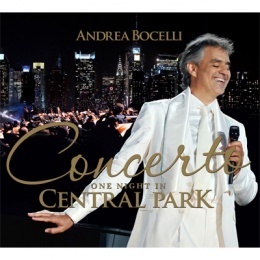 "Céline Dion, Tony Bennett Among Those To Celebrate With Andrea Bocelli on Central Park's Great Lawn". Bocellicentralpark.com. Archived from the original on 2 April 2012. Retrieved 6 June 2012. ↑ "Andrea Bocelli leads Songs of Praise 50th celebrations". BBC News. 31 July 2011. Retrieved 12 December 2013. ↑ "Salta "Romeo et Juliette" a Genova: Andrea Bocelli non ce la fa". Pisa Today. 28 February 2012. Retrieved 29 July 2015. ↑ Mher Margaryan (23 April 2012). "Andrea Bocelli performs at Yerevan's Liberty Square". Armradio.am. Archived from the original on 22 July 2012. Retrieved 6 June 2012. ↑ "Andrea Bocelli Official Website". Andreabocelli.com. Retrieved 18 February 2013. ↑ "Ed Sheeran and Andrea Bocelli collaborate on new Perfect remix". Music-News.com. Retrieved 21 September 2018. ↑ Mauro, J-P (18 June 2018). "Andrea Bocelli's first original single in 14 years: "If Only"". Aleteia — Catholic Spirituality, Lifestyle, World News, and Culture. Retrieved 21 September 2018. ↑ Boedeker, Hal. "'Dancing With the Stars': Disney Night enlists Andrea Bocelli". OrlandoSentinel.com. Retrieved 25 October 2018. ↑ Kaufman, Gil. "Andrea Bocelli 'Si' Album to Feature Duets With Dua Lipa, Ed Sheeran & More". Billboard. Retrieved 21 September 2018. ↑ Gray, Melissa (7 October 2018). "Opera, trumpets and red velvet cake for royal wedding of Britain's Princess Eugenie". CNN. Retrieved 7 October 2018. ↑ "The Marriage of Her Royal Highness Princess Eugenie of York with Mr. Jack Brooksbank" (PDF). The Royal Family. Retrieved 11 October 2018. ↑ "Opera star Andrea Bocelli regales music lovers at Saudi Arabia's Tantora Winter Festival". Arab News. 2019-02-01. Retrieved 2019-02-05. 1 2 3 Andrea Bocelli: 'Some voices have tears inside', The Daily Telegraph, 4 October 2007 article. 1 2 3 Andrea Bocelli's Cieli di Toscana review Archived 6 January 2016 at the Wayback Machine , bluecoupe.com, 2001 article. 1 2 Blind Ambition People Magazine 10 November 1997 issue. ↑ Elizabeth Taylor makes first outing 'in months, CNN, 9 June 2009 article. ↑ Taylor Among Bocelli's Fans / Actress pushing 'The Prayer' for Oscar, SFGate.com, 23 January 1999 article. ↑ Global Foundation for Democracy and Development – Dominican Republic. "Decoration of Italian artist Andrea Bocelli". Dominicanaonline.org. Archived from the original on 30 July 2012. Retrieved 6 June 2012. ↑ "Chronicle 1992–1994". bocelli.de. Retrieved 21 January 2008. ↑ "The Classic BRIT Awards 2012 with MasterCard – Winners". classicbrits.co.uk. 2 October 2012. Archived from the original on 5 October 2012. Retrieved 3 October 2012. ↑ Cobo, Leila; Cantor-Navas, Judy (24 April 2014). "Marc Anthony's Salsa Revival Sweeps Billboard Latin Music Awards". Billboard. Prometheus Global Media. Retrieved 7 December 2017. ↑ "PIER FRANCO MARCENARO Awards 2015". 5 December 2015. Archived from the original on 6 January 2016. ↑ "Bocelli's fiancee expecting his first daughter". Yahoo omg! UK. 14 November 2011. Archived from the original on 3 December 2013. Retrieved 10 December 2013. ↑ Bright, Spencer (23 September 2011). "Andrea Bocelli joins stars in celebrating 50th anniversary of Songs of Praise". Mail Online. Retrieved 10 December 2013. ↑ "Virginia arriva con la primavera Fiocco rosa in casa Bocelli". La Nazione (in Italian). Retrieved 10 December 2013. ↑ Magrath, Andrea (27 March 2012). "Andrea Bocelli and fiancée Veronica welcome a baby girl named Virginia". Mail Online. Retrieved 10 December 2013. ↑ Interview segment with Gayle King for CBS This Morning (broadcast several times during 2018). ↑ Petrillo, Lisa (21 October 2013). "One-On-One With Andrea Bocelli". CBS News. Retrieved 23 January 2014. ↑ "Andrea Bocelli is a fan of Inter". fcinternews.it. ↑ Andrea Bocelli: The Story Behind the Voice (television documentary). BBC. 25 December 2007. ↑ "Vivere: Andrea Bocelli Live in Tuscany". PBS . Educational Broadcasting Corporation. Retrieved 18 December 2013. ↑ "Andrea Bocelli Love In Portofino". bia4music. Retrieved 17 August 2018. ↑ WorldCat. "Search results for 'au:andrea bocelli'" . Retrieved 11 October 2012. Wikimedia Commons has media related to Andrea Bocelli . "Il mare calmo della sera"